KUALA LUMPUR, Malaysia — Malaysian authorities expanded the search Monday for six people, including five Chinese tourists, still missing two days after their boat sank off Borneo island. Twenty-two people were rescued, but three Chinese tourists died. Malaysia's Maritime Enforcement Agency said in a statement that the search area has been expanded by about four times to 1,500 square nautical miles of the South China Sea, off Sabah state. It said Brunei has also deployed a plane to search in its waters. 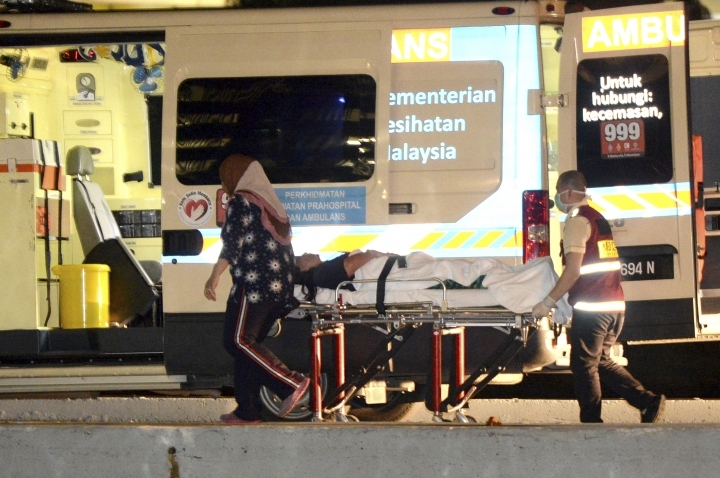 Government minister Shahidan Kassim was reported by the national Bernama news agency as saying that the 20 Chinese tourists rescued were weak, shivering and sunburnt but had sustained no serious injuries. The survivors were brought ashore late Sunday and hospitalized. Shahidan said rescuers were running out of time as one of the survivors had told authorities that one of the missing six had died. Officials earlier said the Chinese tourists had huddled together in groups, forming human chains, and were wearing life vests when they were rescued by fishermen after more than 10 hours adrift in the sea. Their catamaran left Sabah's capital, Kota Kinabalu, Saturday morning to Pulau Mengalum, an island 60 kilometers (38 miles) west, and was reported missing about 12 hours later. Twenty-eight of the 31 on board were Chinese, with three crew members. The captain and a crew member were rescued by another tourist boat Sunday afternoon, and fishermen found the 20 other survivors along with the three dead, two men and a woman, a few hours later. 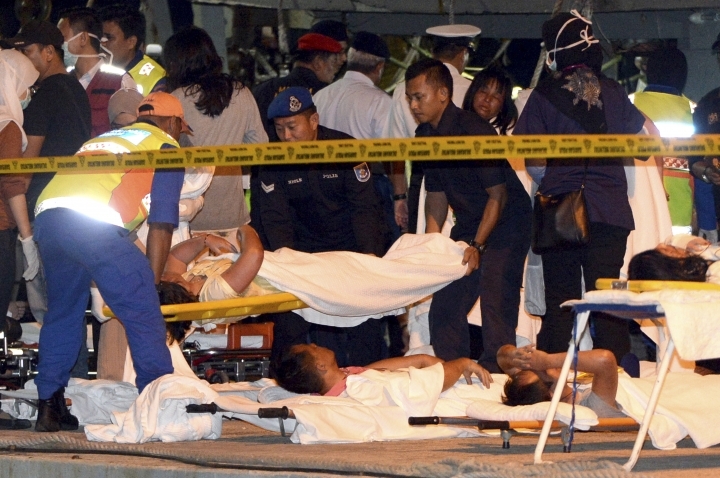 The Bernama news agency said they had been adrift for 10 hours but didn't say when the boat sank or give other details. Malaysia's Sabah and Sarawak states share Borneo island with Brunei and Indonesia's Kalimantan province. Many Chinese travel abroad during the Lunar New Year holiday, which began Saturday. Associated Press writer Nomaan Merchant in Beijing contributed to this report.